US President Barack Obama picked the man who described the US as “the single most important provider of security in the world” as the new defence secretary. The nomination of Ashton Carter as Pentagon Chief comes about a week after Obama reportedly pressured former defence secretary Chuck Hagel to resign. The Senate still needs to confirm the President’s nomination to make the appointment effective. Carter, a former Deputy Secretary of Defence, has a “unique blend of strategic perspective and technical know-how,” a White House statement quoted Obama as saying. “As a top member of our Pentagon team for the first five years of my presidency, including his two years as Deputy Secretary, he was at the table in the Situation Room; he was by my side navigating complex security challenges that we were confronting. I relied on his expertise, and I relied on his judgment,” Obama said in the statement. 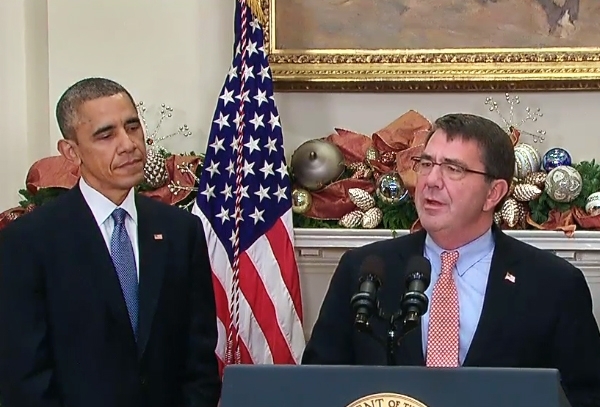 According to reports, Carter was not Obama’s first choice. He emerged as the front-runner after several candidates opted out, which included Senator Jack Reed, a Rhode Island Democrat; Michele A Flournoy, a former Pentagon under secretary; and Jeh C Johnson, secretary of Homeland Security.